(Natural News) International experts from various fields are all saying the same thing: STOP. Stop denying that there isn’t an obesity crisis. Stop feeding your children junk. And most of all, stop practicing unhealthy lifestyle habits. The slightly desperate plea made by researchers at the Imperial College London and the World Health Organization (WHO) comes at the heels of their new research which just concluded that the number of obese children and adolescents (or those aged five to 19) worldwide has risen almost 10 times in only four decades. They noted that should this trend continue, there will be more obese children and adolescents than underweight ones by 2022. The study, published in The Lancet, measured more than 130 million people aged five and older. More than 1,000 researchers were brought in to cross-analyze age and weight, along with other external variables. Focus was given on how body mass index (BMI) had changed worldwide from 1975 to 2016. It was found that obesity rates among children and adolescents increased from less than one percent in 1975 (or five million girls and six million boys) to a scary six percent for girls (50 million) and eight percent for boys (74 million) in 2016. 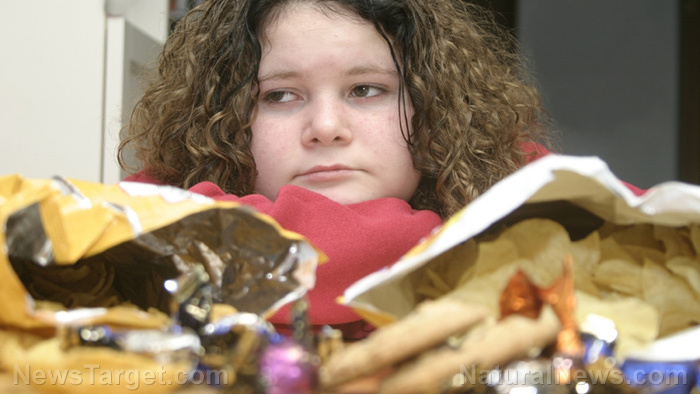 This implied a tenfold increase in obesity rates among children aged five to 19. The experts also noted that an additional 213 million people were overweight in 2016 but fell just below the threshold for obesity. The team noted that if nothing is done to address this now, more children will be obese than underweight by 2022. “We need ways to make healthy, nutritious food more available at home and school, especially in poor families and communities, and regulations and taxes to protect children from unhealthy foods,” concluded Mr. Ezzati. Similarly, a new report released by the Centers of Disease Control and Prevention (CDC) showed that our country is getting fatter than ever. Nearly 40 percent of American adults, and 20 percent of adolescents are obese. These are the highest rates ever recorded in our country. Said another way, this translates to one in five adolescents, aged 12 to 19; one in five kids, aged six to 11; and one in ten preschoolers, aged two to five being obese. The CDC report concluded that around 71 percent of Americans are either overweight or obese. Those of us who are of a normal weight (or having a BMI less than 25) are now in the minority. There were roughly 75 million girls and 117 million boys who were underweight in 2016. The number of underweight children is still a major public health concern. However, nutritionists have noted that while malnourishment is a common (and perhaps expected) side effect of being underweight, a vast majority of obese children also lack essential nutrients. This is a double-whammy for overweight kids: They are more vulnerable to getting sick not only because of their weight but because their immune system is not strong enough to fight off infectious diseases. Authors of the WHO cohort study suggest that this could be reflective of an increased consumption of energy-dense food, mostly in the form of highly processed carbohydrates. Obesity-related conditions include diabetes, heart disease, and cancer. Lesser known illnesses include back pain, hip and knee replacements, and joint damage. You can learn how to live healthier and teach your children correct eating habits by reading the articles on Detox.news.